We all know the golden rule: Never show up to a party empty-handed. There’s always the standard bottle of wine or a scented candle, but if you’re on the hunt for something more unique, there are plenty of other creative ways to express your gratitude. And, keep in mind, host and hostess gifts don’t need to be expensive or elaborate. In fact, some of the most thoughtful gift ideas are under $25. And, as long as the gift is personal and allows you to reciprocate your hosts’ hospitality, it will be well-received. Here are our top 5 great hostess gifts to pick up this holiday season. Breakfast has long been touted as the most important meal of the day – and for good reason. It kick-starts your metabolism and provides the fuel you need to start your day the right way. But, before you throw back a chalky protein shake or choke down some bland steel-cut oats, consider these tips for a truly great breakfast. It’s back to school season and that means its time to start packing lunches again. Start the year off right with some fun, healthy lunches. After all, lunch is every kid’s favorite time of day. Plus, lunch gives them an extra boost of energy and brainpower needed to get through the rest of their classes. This year, don’t be afraid to add a few fun surprises to their lunch box. For some added inspiration, here are 7 awesome school lunch ideas. Looking at these Instagram-worthy foods at Garry’s is almost as fun as eating them. Although, at this moment, these images will have to hold you over until you get your hands on the real thing. Until then, enjoy the lovely feast for your eyes. Staycations are a great way to take time off work, relax and explore the local attractions. By staying home, you get to avoid expensive travel fees and worrying about booking hotels. Plus, you can use the money you save to focus more on experiencing fun activities. Luckily, Central Maryland is teeming with restaurants, parks, and activities to fill up your itinerary. 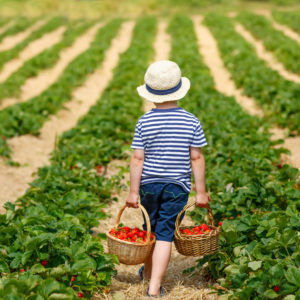 If you’re planning a staycation in Maryland (i.e., Arnold, Severna Park, or the Annapolis area) here’s a list of ideas to make your time more enjoyable. What’s better than snuggling up on the couch with a blanket, a few close friends, and a good movie? Few things can compare, and even more, you don’t have to leave your house! It’s one simple pleasure that will never go out of style. But, if you’re a big movie buff like us, it’s probably high time to take your movie-watching experience up a notch. And, now that the weather is cheery, we’re thinking about hosting an outdoor movie night. If you’ve ever been to one, then you know there is something special about a cinema under the stars. Here’s what you’ll need to elevate your typical movie night. 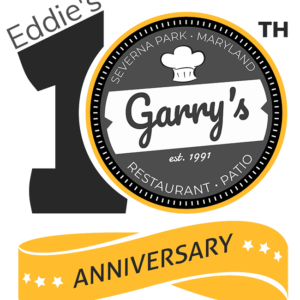 It is surreal to think that Eddie Conway is coming up on his 10th anniversary of owning Garry’s. Since Eddie took over the business in 2008, he has taken pride in creating innovative and palatable dishes, as well as building relationships within the community. Of course, Eddie credits his success to his former boss and devoted mentor, Garry Anderson. Eddie is also very thankful for his dedicated customers who he believes are the reason he is in business today. Severna Park and Annapolis come alive when the warmest of seasons return. And, we are reminded how much there is to love and experience in our beautiful Maryland cities. From outdoor festivals to scenic parks and more, be a part of the fun events in Severna Park and Annapolis. You just might discover something new. When you step into Garry’s Grill, you are welcomed into one big happy family. To us, it’s about great food and great atmosphere. Our restaurant is home, and our customers are family too. We have generations of families that have come to Garry’s over the years. They have supported us for nearly three decades, and we are eternally grateful. And, with our continued commitment to our customers, we are always coming up with ways to improve the restaurant. Many changes have been subtle over the years, and a few will no doubt go unnoticed. We are very excited about what’s in store for this year.